Recent Supreme Court Case Regarding Premises Liability: Austin v. Kroger Texas, L.P.
On June 12, 2015, the Texas Supreme Court issued the opinion in No. 14-0126, Austin v. Kroger Texas, L.P., regarding a certified question from the Court of Appeals for the Fifth Circuit. 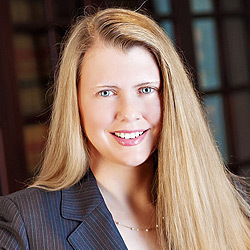 See Austin v. Kroger Texas, L.P., --- S.W.3d – (2015), 2015 WL3641066. Here, the Texas Supreme Court clarified in its opinion that, “under Texas law, (1) subject to two limited exceptions, an employer generally does not have a duty to warn or protect its employees from unreasonably dangerous premises conditions that are open and obvious or known to the employee; and (2) under this general rule, the Texas Worker’s Compensation Act’s (TWCA) waiver of a nonsubscribing employer’s common law defenses does not eliminate an employee’s burden of proving that the employer owed him a duty as an element of a premises liability claim.” Id. at *1. What is crucial about this opinion is the landowner’s duty to an invitee regarding dangerous conditions that are open and obvious or known to the invitee. However, what is the extent of a landowner’s duty when the unreasonably dangerous condition is open and obvious or known to the invitee? Again, this is a crucial question that was answered by the Court in this opinion. In its discussion of this issue, the Court reiterated that a landowner is not an insurer of an invitee’s safety. Further, when the condition is open and obvious or known to the invitee, the landowner is not in a better position to discover the condition than the invitee. Additionally, “when invitees are aware of dangerous premises conditions – whether because the danger is obvious or because the landowner provided adequate warning – the condition will, in most cases, no longer pose an unreasonable risk because the law presumes that invitees will take reasonable measures to protect themselves against known risks, which may include a decision not to accept the invitation to enter the landowner’s premises.” Id. A landowner has “no duty to take safety measures beyond those that an ordinary, reasonable landowner would take. What a reasonable landowner would do is often a jury question, but sometimes it is not. The Court has recognized that, in most circumstances, a landowner who provides an adequate warning acts reasonably as a matter of law, and since there is no need to warn against obvious or known dangers, a landowner generally has no duty to warn of hazards that are open and obvious or known to the invitee.” Id. The underlying facts of this case are that Plaintiff, an employee of Defendant, fell while mopping a restroom floor at the store where he worked. Recognizing the danger of the slippery liquid on the floor that he was attempting to clean up, Plaintiff had placed wet floor signs around the area as well as stepping carefully as he moved throughout the spill. Despite cleaning a portion of the spill, Plaintiff slipped and fell in the remaining liquid on the floor and sustained injuries. Defendant, as Plaintiff’s employer, had opted out of the Texas Workers’ Compensation System, and Plaintiff filed his lawsuit asserting claims of premises liability, negligence and gross negligence. Id. at *1. The two limited exceptions are the criminal-activity exception and the necessary-use exception. Id at *6-8.